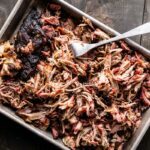 Sweet, salty and a little bit of heat is the perfect basic dry rub for smoking pork. 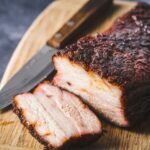 When it comes to a pork dry rub for smoking, there’s nothing fancy that you need to do to get amazing results. 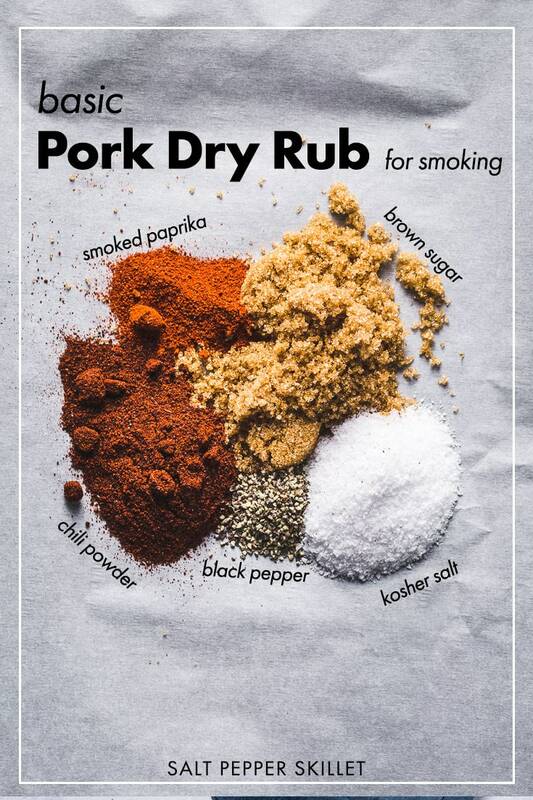 This rub is a great balance of sweet with a little bit of spice that goes great with smoked pork. There’s no reason to ever buy a rub that you can make at home for almost free. Just mix up some basic ingredients that you probably already have in your pantry. 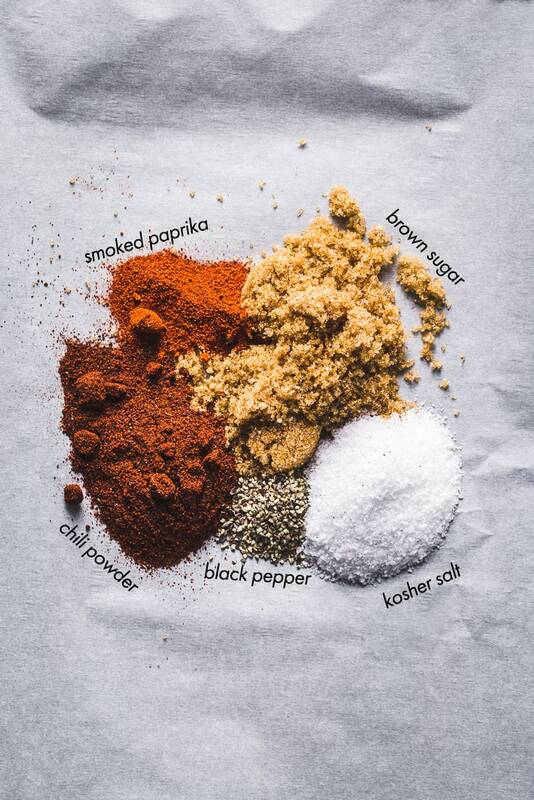 Kosher salt, sugar, black pepper, chili powder and smoked paprika are the ingredients in the basic dry rub for pork. 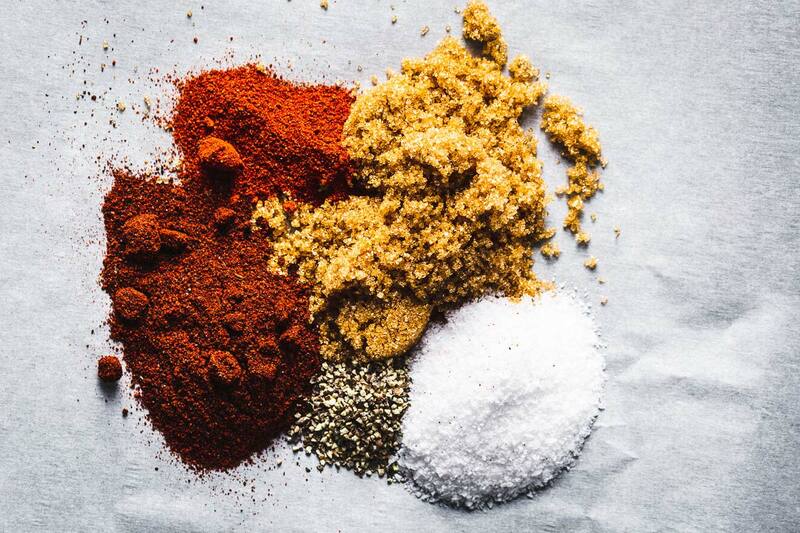 Garlic powder, onion powder, ground cumin, and mustard powder can all be great additions to the basic rub. The thing with a dry rub is that it’s really hard to mess up. You can add a ton of flavor and balance the flavors of the meat. You can adjust the ingredients and ratios to your taste. If you like it hotter, add more chili powder; if you like it sweeter, add more sugar. 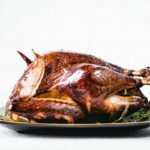 The only thing to worry about is the more sugar you use, the more likely your meat is to burn if you are cooking over direct heat. The amount of salt depends on the size of the meat, so you can keep that separate if it’s easier. Making the dry rub couldn’t be easier. Combine all the ingredients in a bowl and mix it up with a whisk, fork or a spoon. That’s it. You don’t want to hide the flavors of good quality meat; you want to enhance it. Since great meat can speak for itself, it’s up to you how much you change the flavor with a dry rub. Adding just enough can enhance and balance everything rather than make it totally taste like the rub as a cover-up. 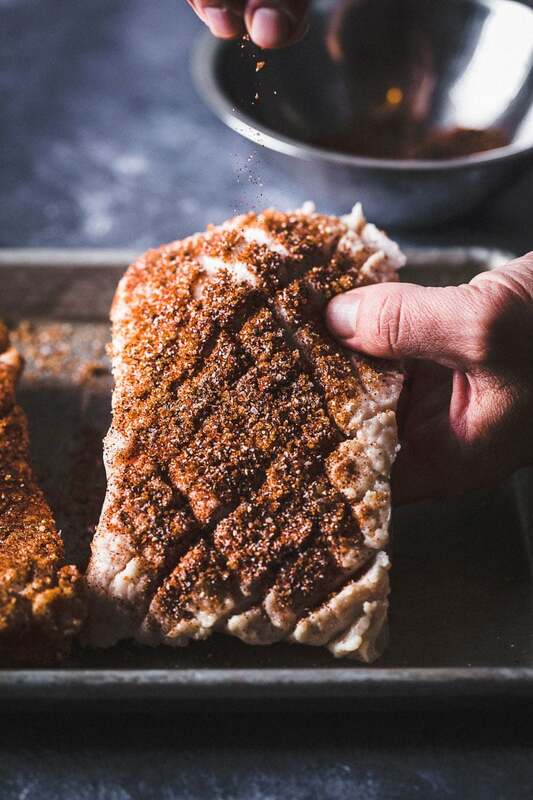 Now that you have the rub ready, it’s time to head out to the barbecue to make some smoked pork belly. Store the dry rub in a sealed container in a cool dry place. Moisture is the enemy and will cause clumping. There are tons of container options out there. These basic shaker containers (affiliate link) are great, but you can even make your own by using a mason jar and drilling holes in the top. 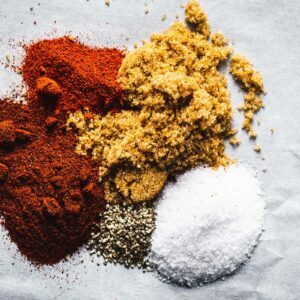 The dry rub could probably stay good for years, but it’s best to use it within 6 months because of the brown sugar and to keep the spices fresh. Combine all ingredients with a whisk or a fork. Use immediately or store to use later. 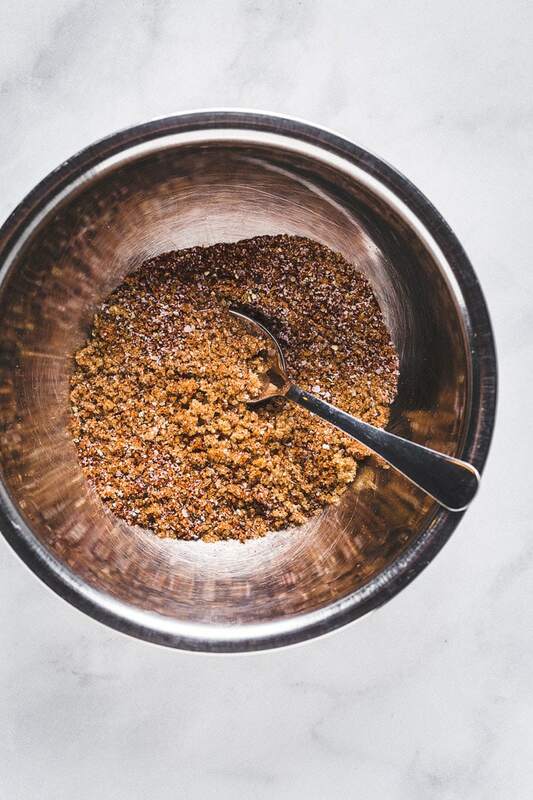 Makes about 3/4 cup dry rub, which is more than enough for a 2-pound pork belly. Store in a sealed container in a cool, dry place away from light. 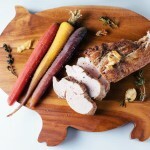 This is seriously delicious and a must make recipe if you love tender pork with tons of flavor.